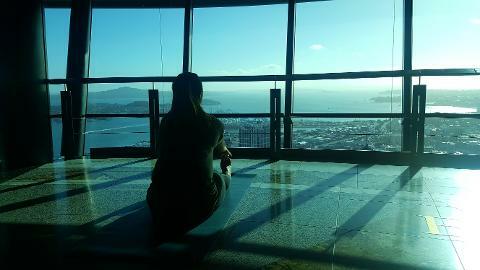 The Sky Tower is proud to present yoga sessions, held twice monthly, on the Main Observation Deck of New Zealand’s most iconic building. 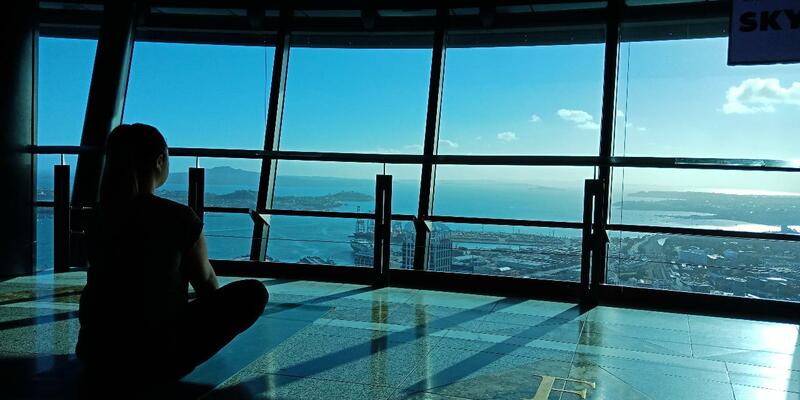 Relax and take in the 360 degree views of Auckland and its surrounding beauty. 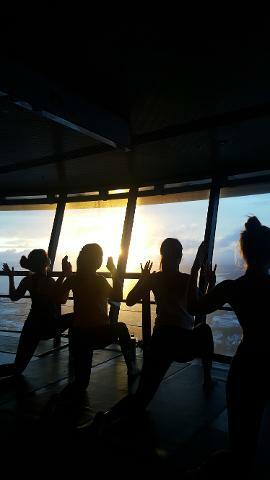 Sunrises look more spectacular from the edge of your yoga mat, 186 metres in the sky. Amanda Fell is a Yoga Instructor with a passion for living each moment in a mindful and aware state. Amanda trained in New Zealand at Wellpark College of Natural Therapies and has attended workshops and specialised training abroad, such as Prenatal Yoga. 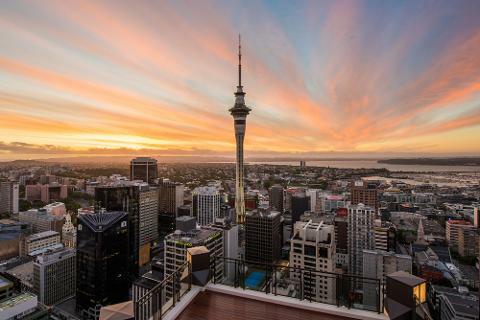 Visibility from the Main Observation Deck of the Sky Tower is not guaranteed dependent on the weather conditions.